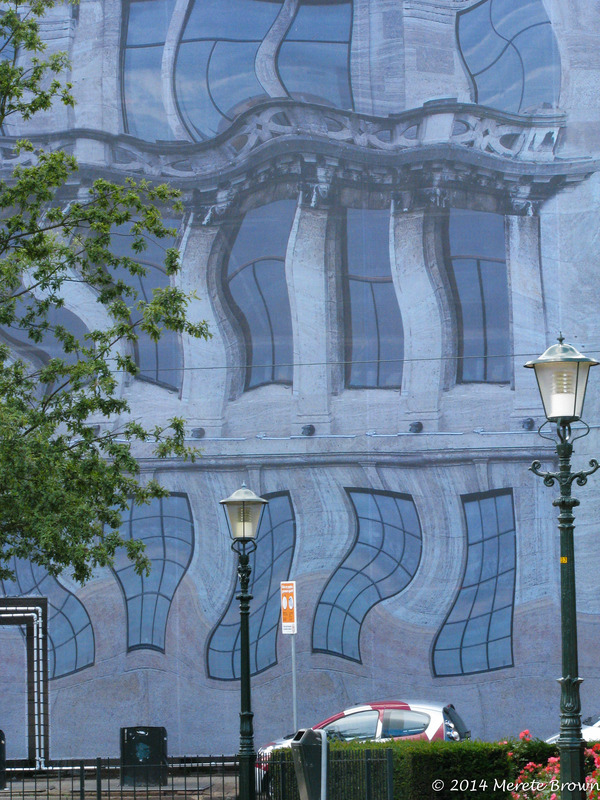 During our stay in Amsterdam, we took a series of day trips to the surrounding areas. 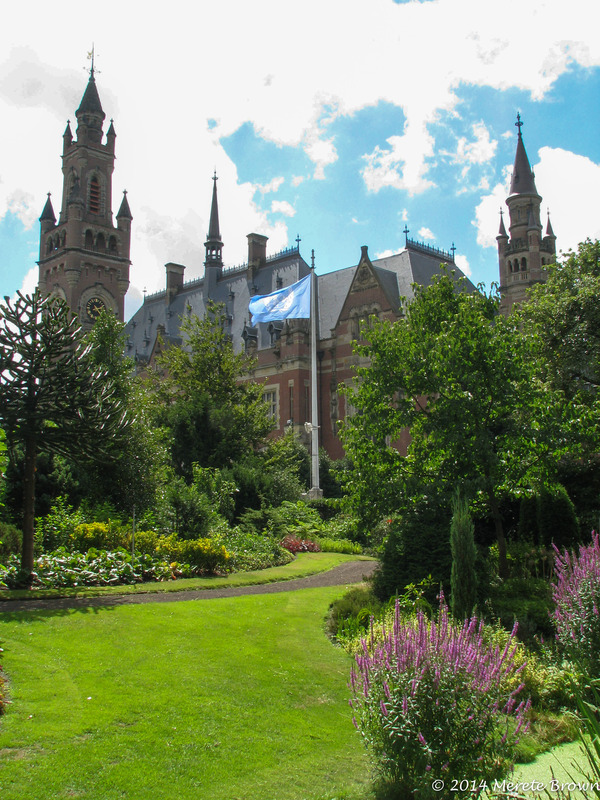 The first place we visited was The Hague. 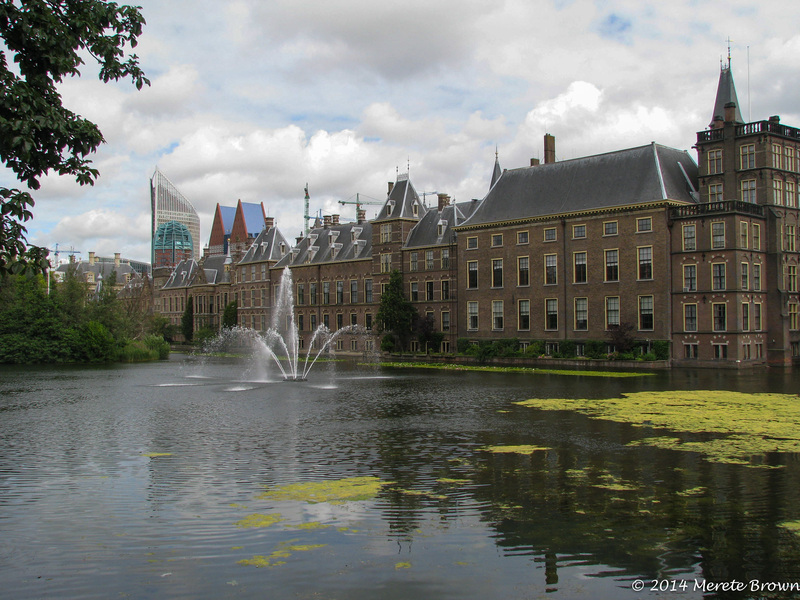 The Hague is the seat of government in the Netherlands and also the home of the International Court of Justice and the Peace Palace. 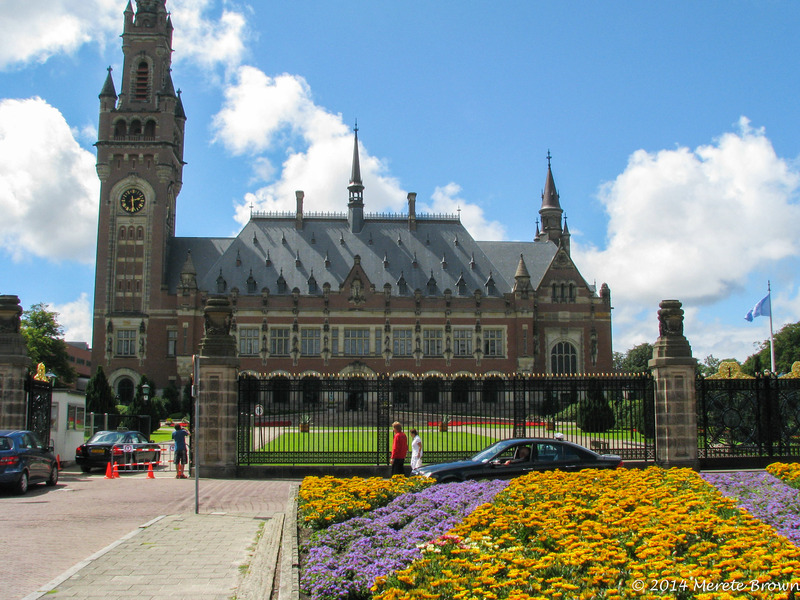 Since my husband and I were in law school at the time, the International Court of Justice was high on our list of things to see. 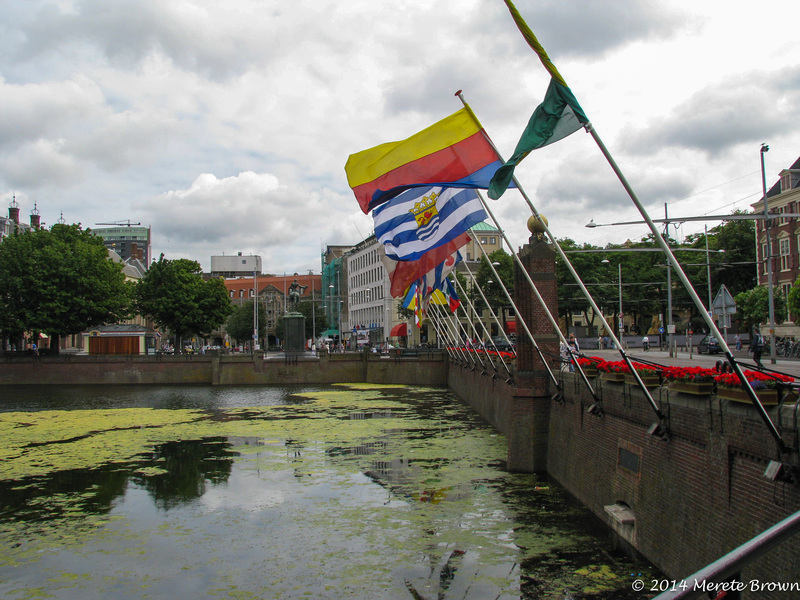 We rode the train from Amsterdam to The Hague, walked the streets through the city plazas and explored the Peace Palace, a true architectural jewel. 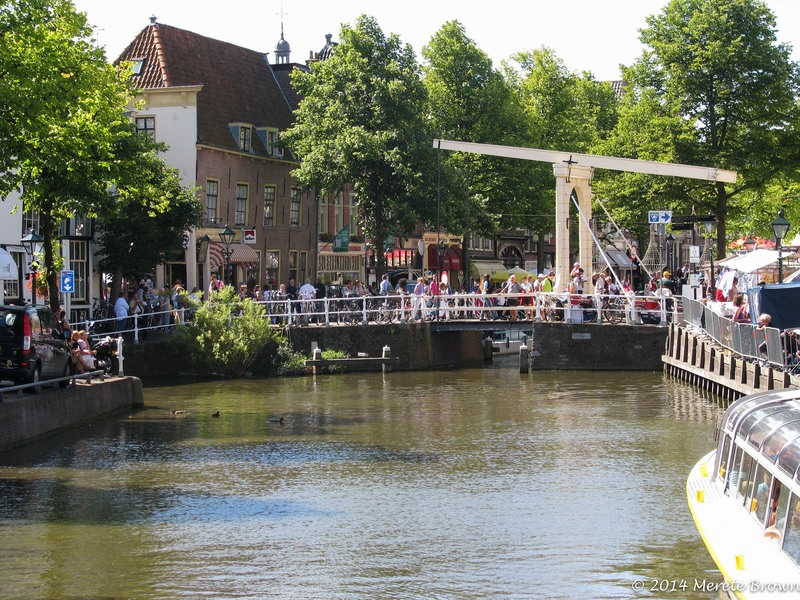 Alkmaar, Netherlands – Cheese, Please! The Dutch are also well known for their cheese. 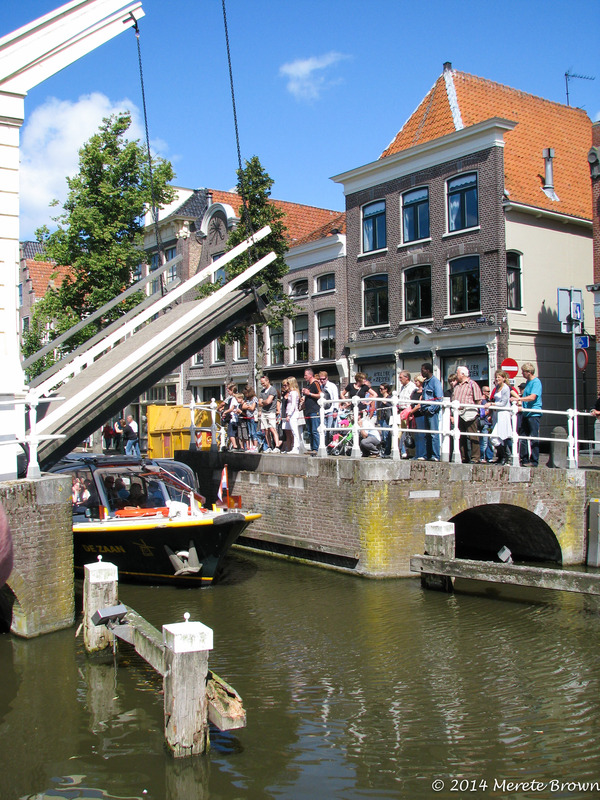 Another day we ventured outside Amsterdam to a place known for its traditional cheese market. This time we hopped in the car and bravely navigated the Dutch highways. 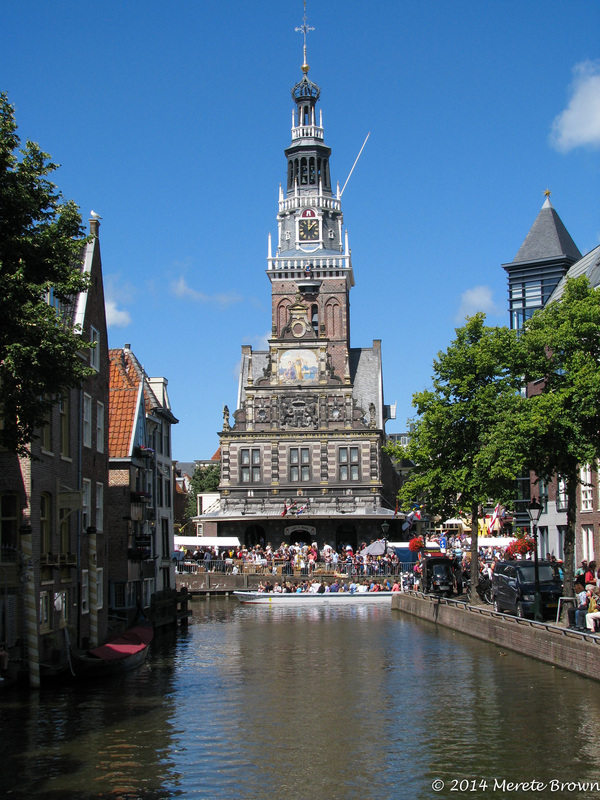 We reached Alkmaar while its cheese market was in full operation. 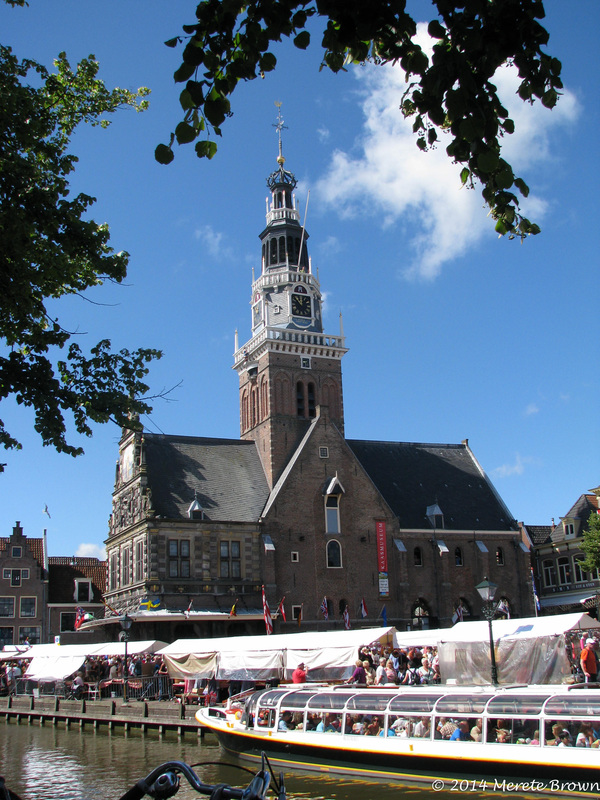 Locals were dressed in traditional Dutch attire and giant rounds of cheese were carried through the streets on barrows to the market square. To reenact the traditional process for tourists, the cheese was then sampled and prices were negotiated through a practice called handjeklap. 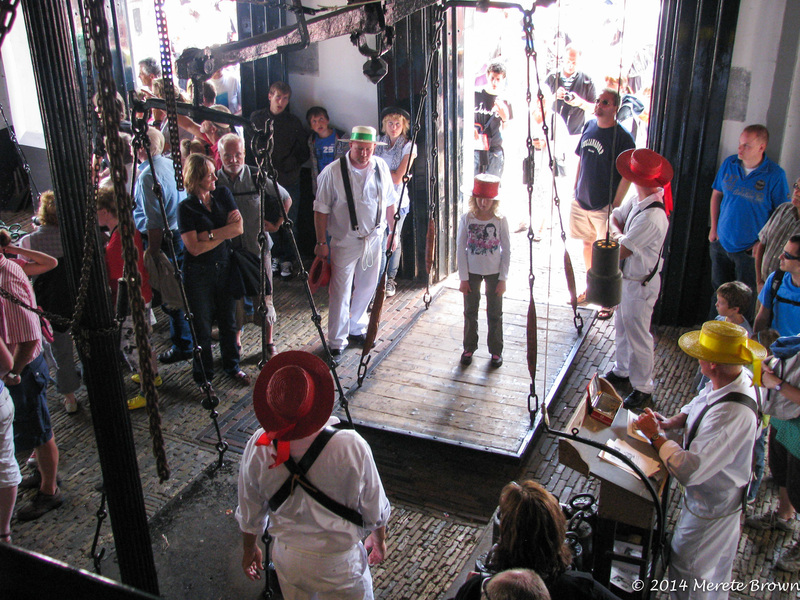 After the price was agreed upon, the cheese was weighed in the weighing house. 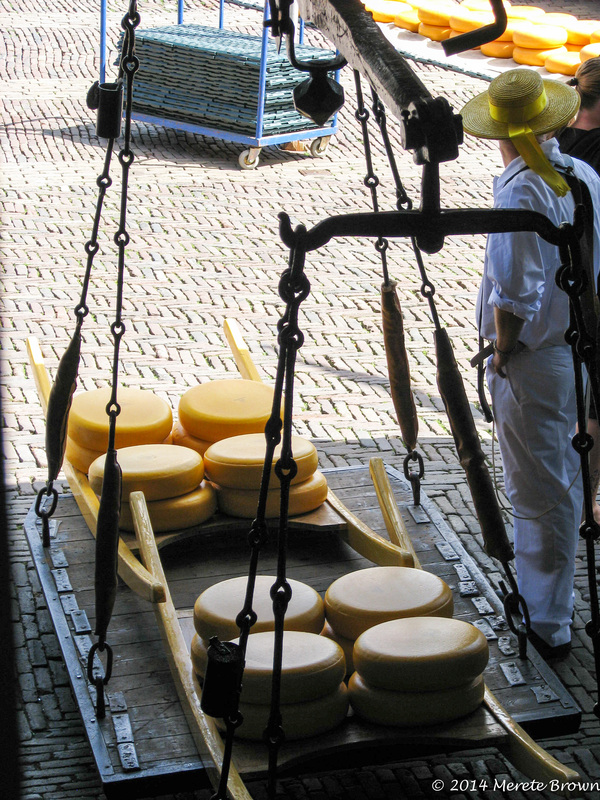 Although spectators can’t buy the giant rounds of cheese placed in the market square as part of the demonstration, cheese and other items are sold in street side stands during the show. 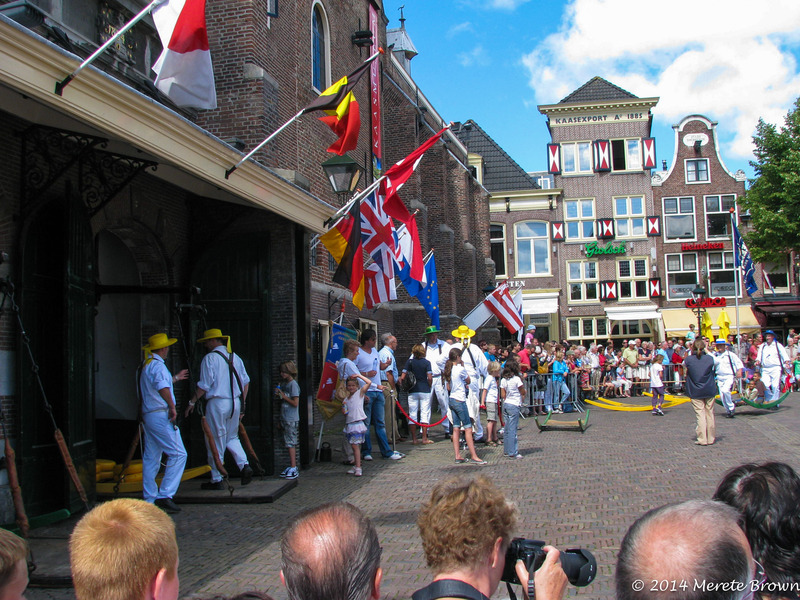 Alkmaar also has a cheese museum where you can learn about the process of making cheese, complete with cheese tastings. It was a grand celebration in the spirit of cheese set among beautiful medieval buildings – my kind of place. 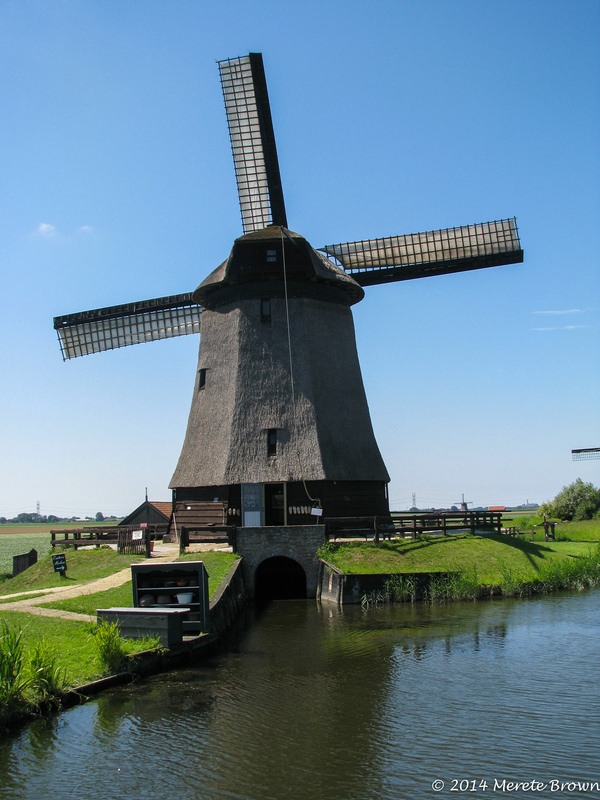 On our way back to Amsterdam, we also stopped off at a windmill museum so we could see the interworking of a mill. It was neat to walk around the grounds and climb up inside the mill to see the quarters of the old mill attendants. Dotted all over the Netherlands, windmills were originally built to pump water from one storage basin to another to prevent flooding and maintain water control. 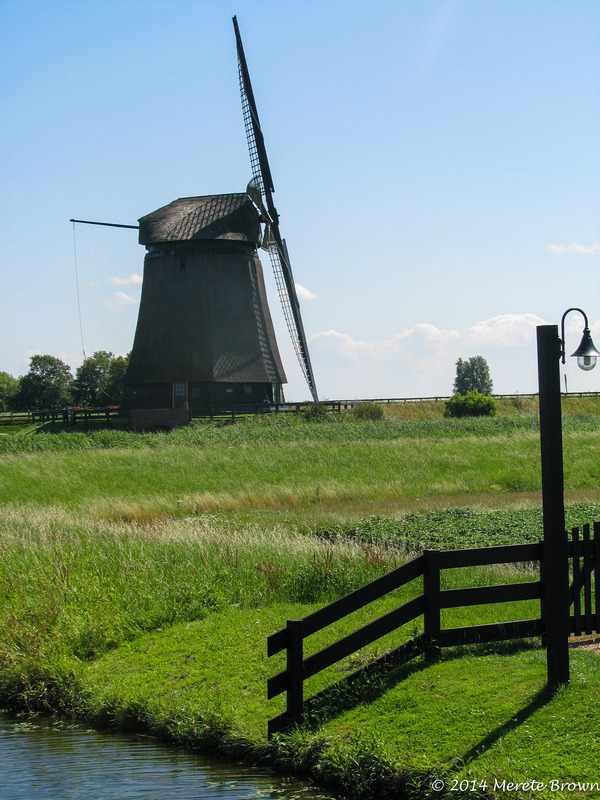 Windmills are very much part of the Dutch culture and neat landmarks throughout the country. Next up – a daytrip to Kinderdikk!